We bring you another magnificent piece by one of our favorite duos in street art: Herakut. 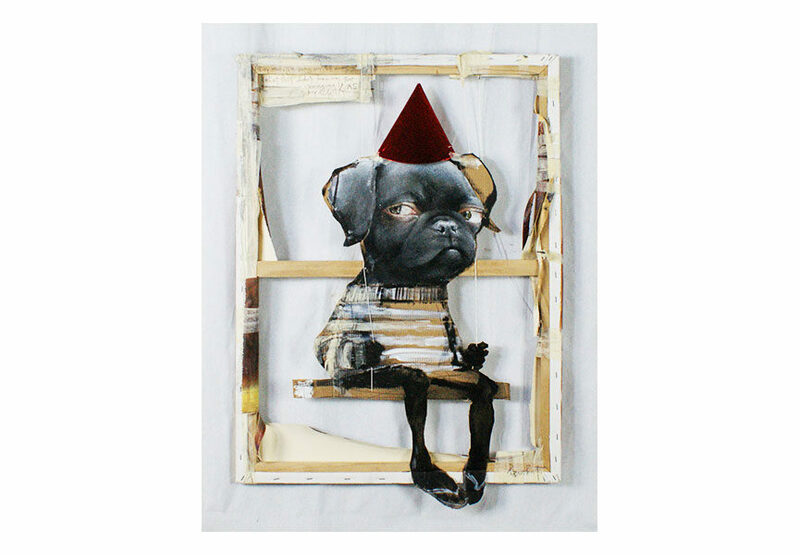 The 80cm x 60cm ‘swinging dog’ piece is one of Herakut’s mixed media artworks. They create the 3-D swing effect by deconstructing the framed canvas and placing the dog in between the torn canvas pieces. Artistically reoccurring is the pug. Like on many other Herkaut artworks the pug is depicted with children or as in this piece alone. 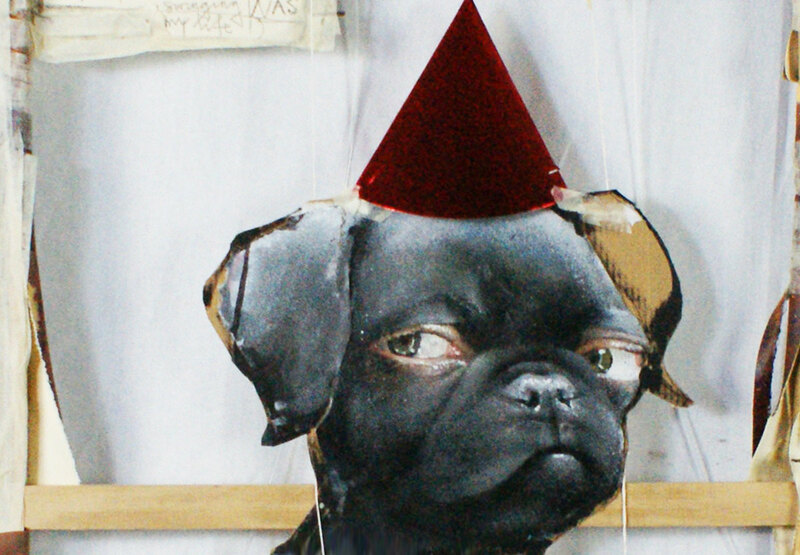 The pug is the central imagery of “Swing”. 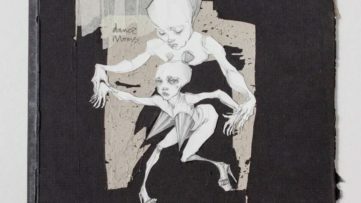 Characteristic for Herakut they play with the concept of anthropomorphism. Herakut transfer the human ability of grasping ropes onto the pug, giving the animal a childish appearance. The pullover and the party rest do the rest to remind us of a little kid sitting on a swing. The child theme completes the Herakut palette of reoccurrence in “Swing”. Both artists express themselves on different bases: canvas, wood or paper. 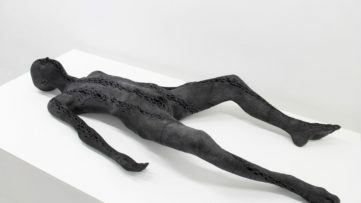 Their profoundly contrasting methods give birth to stylized works which decorate the streets with their strange uniqueness. 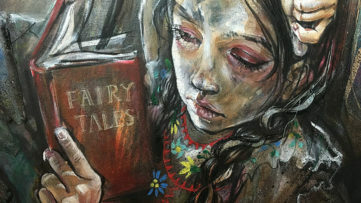 Hera from Herakut Art Duo First Solo Show in 8 Years!